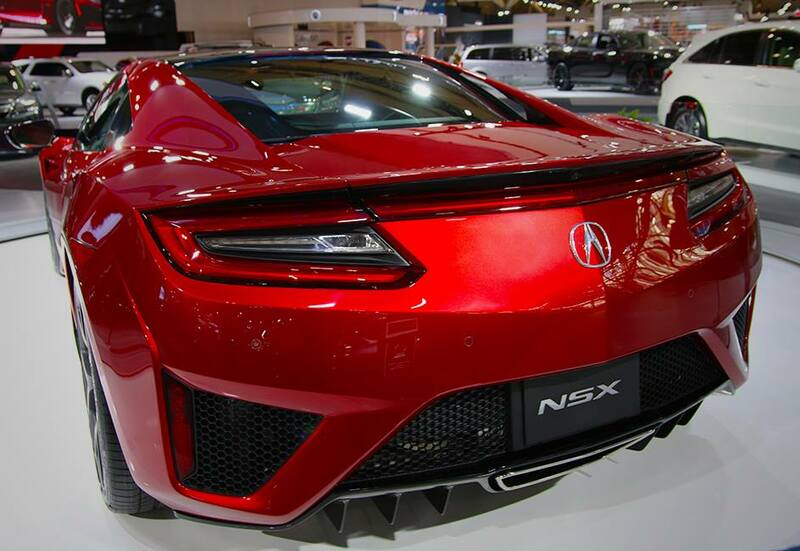 We’ve all been breathless, waiting for more news of the stunning new NSX. Acura has purposely been slow to release information — we get that they know how to build excitement about this much-anticipated supercar, but with its launch quickly approaching, new technical details of the legend were revealed at the Society of Automotive Engineers (SAE) World Congress and Exhibition held April 22nd in Detroit. Acura’s first use of a revolutionary multi-material space frame design that delivers class-leading body rigidity while remaining lightweight. World’s first automotive application of new ablation casting technology resulting in world-class body rigidity for ultimate handling and control. Top-in-class aerodynamics targets without the use of active aerodynamic elements, while its three-motor Sport Hybrid power unit is cooled through 10 heat exchangers all thanks to a total airflow management strategy that maximizes the flow of air around and throughNSX. Displacement of theNSX’s all-new twin turbo V-6 engine was confirmed to be 3.5-liters. TheNSX will mark the introduction of the most capable and highest torque capacity Super Handling All-Wheel Drive system in Acura history. The latest proprietary logic advancesAcura’s two decades-long pursuit of Super Handling that proactively responds to driver inputs, allowing the NSX to achieve a new level of line trace while at the same time intelligently supporting the driver in changing environments.